You'll see a red banner in the Shopventory Dashboard page that says: "You have an integration that needs to be reauthorized. Click here to correct this problem." 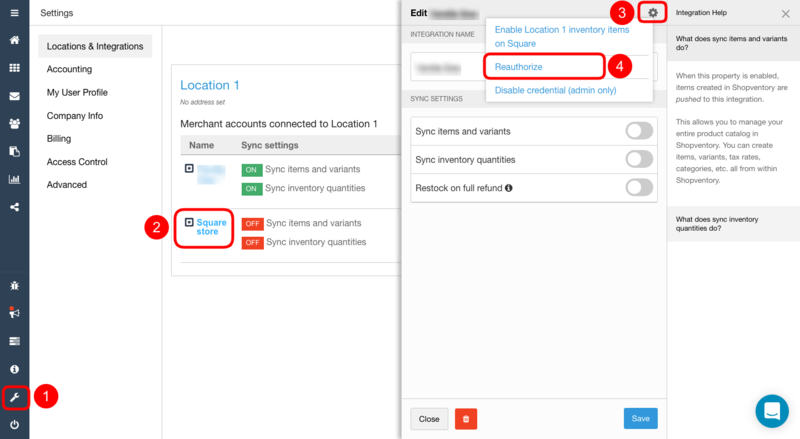 This means Shopventory is not receiving any data from that integration and is not able to send any inventory data. Effectively, the integration is disconnected from Shopventory. Easy. 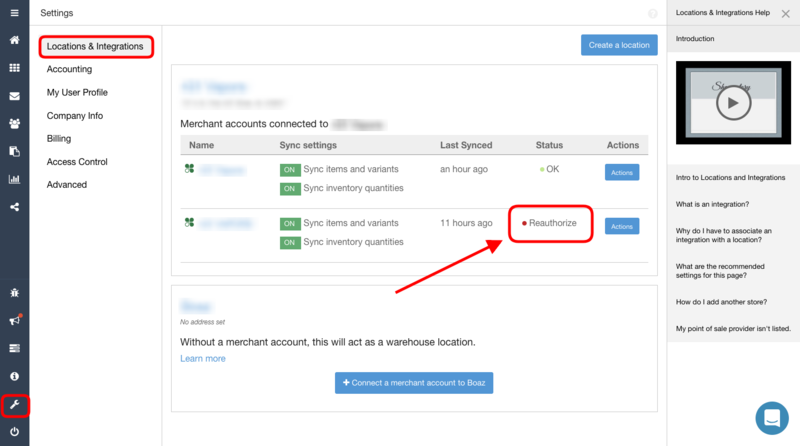 Just click on the integration and use the gear wheel in the integration settings to reauthorize. That will prompt you to re-connect the integration. You'll need to have your point of sale login credential handy. What causes my integration to deauthorize? This is a designation from your provider. It means Shopventory's access has been revoked from their end. Shopventory has no control over this. We also have no access to see exactly what changed that caused the permissions to be revoked. All we know is that the point of sale provider told us we no longer have access to the information.